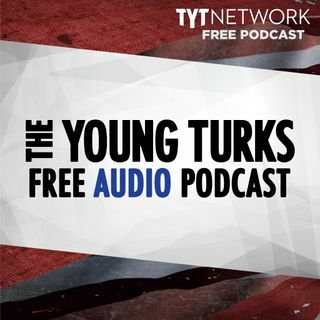 A portion of our Young Turks Main Show from February 20, 2018. For more go to http://www.tytnetwork.com/join. Hour 1: Cenk. Trump ordered the Justice Department on Tuesday to propose regulations to ban so-called bump stocks, which can convert a semiautomatic gun into an automatic weapon like the one used last year in the massacre of concertgoers in Las Vegas. “For everyone, it was a distraction or a reprieve,” said the White House official, who spoke on the condition of anonymity to reflect ... See More internal conversations. “A lot of people here felt like it was a reprieve from seven or eight days of just getting pummeled.” That rather shocking quote is contained in a new Washington Post report about the White House seeing the shooting in part as giving them a brief respite from questions about multiple burgeoning scandals. Liberal billionaire philanthropist George Soros is paying to mobilize 17-year-olds against gun violence, conservative political commentator and former Republican congressman Jack Kingston claimed in an interview with CNN Tuesday morning. Kingston was on the program to discuss a controversial tweet in which he claimed it is implausible that high school students who survived a brutal massacre last week were capable of organizing nationwide rallies for gun control on their own. During the show, Kingston argued that the teenagers are being manipulated by left-wing anti-gun activists funded by Soros. President Trump’s oldest child, Donald Trump Jr., liked two tweets pushing Parkland shooting conspiracies, which accused a student who survived the massacre of being an FBI plant. Hour 2: An Idaho Republican state senator has been labeled a “bully” after ranting at college students who traveled hundreds of miles to discuss a birth control bill with lawmakers. State Sen. Dan Foreman also has been slapped with an ethics complaint for an incendiary follow-up tweet sent from an account allegedly associated with him. The tense exchange between Foreman and about a dozen University of Idaho students was captured on camera Monday. Video circulating on social media shows Foreman forcefully pointing his finger and belligerently saying “abortion is murder” to the students, who say they didn’t come to discuss abortion at all. U.S. senators are planning to mark the 10th anniversary of Wall Street’s meltdown this year with a gift to the nation’s banks: a bill that would unravel regulations put in place after the crisis. The proposed rollback of some key post-crisis rules – which could advance in the coming weeks – is one of the few examples of bipartisanship in Washington since President Donald Trump's election.